Grand National winners have almost never come back in modern times. They have almost never come back to the winner's enclosure, and in some cases they have literally never come back. That presumably is because of the inevitably stiffer tasks they have been presented with at an often relatively advanced age, or because Aintree's unique demands had simply taken too much out of them. Possibly a combination of both. 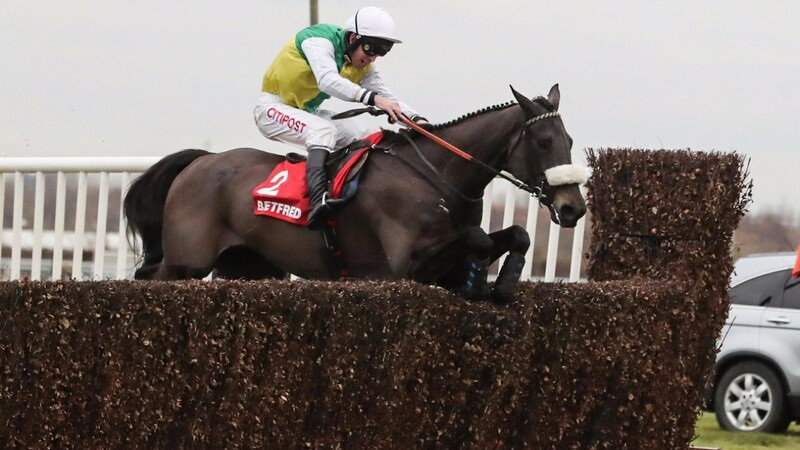 But Many Clouds was different, and that is testament to the training of Oliver Sherwood, whose brilliant handling of steeplechasers in particular stretches back some 30 years, the sympathetic handling of Leighton Aspell, his partner through all 27 races, and the patience of owner Trevor Hemmings. What's more, he did not simply recapture a similar level of form – he possibly exceeded it. Having his first race out of novice company when winning the 2014 Hennessy under 11st 6lb, Many Clouds carried 11st 9lb – only a pound off top weight and corresponding to a mark of 160 – for that famous defeat of Saint Are at Aintree just over four months later. Although then only an eight-year-old, he was no certainty to ever win again, but seconds to Don Poli and Smad Place on his return gave every encouragement and he won a conditions race at Kelso before his wind failed him when bidding for back-to-back Aintree wins as arguably the most credible contender for that honour since Red Rum. Having come back once, Many Clouds came back again, and last month's front-running Listed defeat of Le Mercurey at Aintree, where his jumping, as ever, was a joy, bore comparison with just about anything he had achieved – until this. His heroic defeat of the Timico Gold Cup favourite Thistlecrack, snatching victory from the jaws of defeat, was quite possibly his best form ever. Cheltenham chairman Robert Waley-Cohen paid tribute and said: "He had a wonderful career and could not have given more pleasure. He's always had a wobble, but today he knew only that he had won and was then gone in a moment." BHA senior jumps handicapper Phil Smith was almost too upset to talk, but said: "I haven't done the figures but it was probably his best ever run. "He's been a big part of my handicapping life for five years I suppose, through the Hennessy win, his two Grand Nationals and all the rest. He won that fair and square and would have been a big contender in the Gold Cup. He might even have won it." BHA spokesman Robin Mounsey offered a further tribute spoke of the circumstances of Many Clouds. He said: "First and foremost our thoughts are with all connections of Many Clouds following this very sad news, and in particular for those who loved and cared for him throughout his great career." He added: "The care available for racehorses throughout their lives, and in particular on the racecourse, is first class. All horses are observed by a vet before taking part in a race. After the race, Many Clouds was immediately tended to by Cheltenham's team of expert racecourse vets within seconds of the first sign that he was in any difficulty. Despite this treatment, sadly, the horse could not be saved. "We cannot yet be certain of the cause of the incident, but steps will be taken to understand exactly what has happened. Incidents such as this are exceptionally rare."